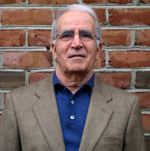 Center for Iranian Music » Bijan Elyaderani, M.D. Dr Bijan (Morteza) Elyaderani, M.D. was born in Esfahan, Iran. He attended Elmiyeh High School in Tehran and subsequently went on to receive his Medical Degree from Tehran Medical School in 1967. Dr. Elyaderani pursued postgraduate training in the United States starting with a radiology Residency at Bridgeport Hospital, an affiliate of Yale University Medical School, and West Virginia University. Then he completed two fellowships, Vascular/Interventional Radiology at West Virginia University and Ultrasound fellowship at the University of Pittsburgh Medical School. In 1975, he returned to the University of West Virginia, rapidly advancing from instructor of Radiology to full professor of Radiology. He also held a joint appointment as professor of OB/GYN where he applied his expertise in interventional Radiology and Ultrasound to prenatal and Gynecological diagnosis and intervention. In 1987, he was appointed Director of Radiology at the University of Pittsburgh Medical Center, Beaver Valley. Dr. Elyaderani has had approximately 50 publications printed in prominent American Medical Journals and has delivered approximately 40 scientific presentations worldwide. He has contributed to some books over the years, including Abdominal Imaging: An introduction, Endourology-Principals and Practice, The Urologic Clinics of North America, and Interventional Radiology. He has also authored two books entitled Percutaneous Biopsy, Aspiration and Drainage and Invasive Uroradiology: Manual of Diagnostic and Therapeutic Techniques. Dr. Elyaderani has also organized numerous medical seminars throughout his career. Dr. Elyaderani has been a very active member of the Iranian American Medical Association since its inception. He has served as president and as a board member. Dr. Elyaderani is also an active member of The Iranian American Cultural Association of Pittsburgh. He has been the event organizer of the numerous annual Iranian festivities such as Yalda (Persian New Years) and the Mehrgan Celebration over the past 15 years. He has also planned numerous traditional Iranian music concerts in Pittsburgh and Washington, D.C. through the years. Dr. Elyaderani has also been the organizer for the Tehran Medical School Class of 1967 reunions that occur every few years. These reunions have been held in various cities nationwide.